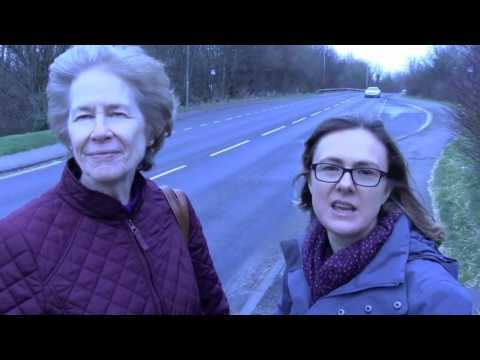 Members of the Kingston Road and Cranedown Residents Association (KRCRA) in Lewes have been campaigning for many years to try to slow the traffic on the C7 approach road from Newhaven into Lewes - Kingston Road. We want to make our local road safer for residents, those commuting on foot between Kingston and Lewes, those who want to use our expanding cycle path network and the many visitors to Spring Barn Farm and Wyvale's Garden Centre. KRCRA members have worked hard to ensure a safe way for non-vehicular users to travel to and from Lewes. We have helped to develop a section of the Ouse Valley Cycle Network shared path (The Egrets Way) along the C7, successfully campaigned to make Cockshut Lane a bridleway and twice successfully opposed planning applications by local businesses to use the new bridleway for commercial vehicles and vans. Unfortunately, many drivers still use the section of road from Wellgreen Lane to the bridge over the A27 at speeds well over the 40mph speed limit. Some cars even overtake along this short section of the C7, causing immense risk to local users - other drivers, residents exiting their drives, and pedestrians alike. But because of these high speeds, it would not be safe to reduce the speed limit without also building some features to physically slow traffic. In part to achieve this, and in part to allow easier crossing of this very busy road (used by around 6500 cars per day), we are aiming to fund the building of a pedestrian island near the entrance to Cranedown. The exact position of the site of the proposed crossing is shown in attached images. We have, with advice from East Sussex CC’s engineers, considered various locations, but all other options were prohibitively expensive as they would have required major road widening or moving of underground cabling. The cost of the crossing is approximately £20,000. We have been offered match funding from East Sussex County Council, so must raise £10,000 ourselves. We have already received contributions from Lewes Town Council, the Sussex Community Foundation and the When Skies Were Always Blue Trust totalling over £4200 and we ask you to help us raise the remaining £5000+ we need to ensure we can make Kingston Road a safer place for all users.